18-year-old Ashwini Dandore lives with her mother, father and two siblings in a small, kachcha house in Madhya Pradesh’s Khadla village. 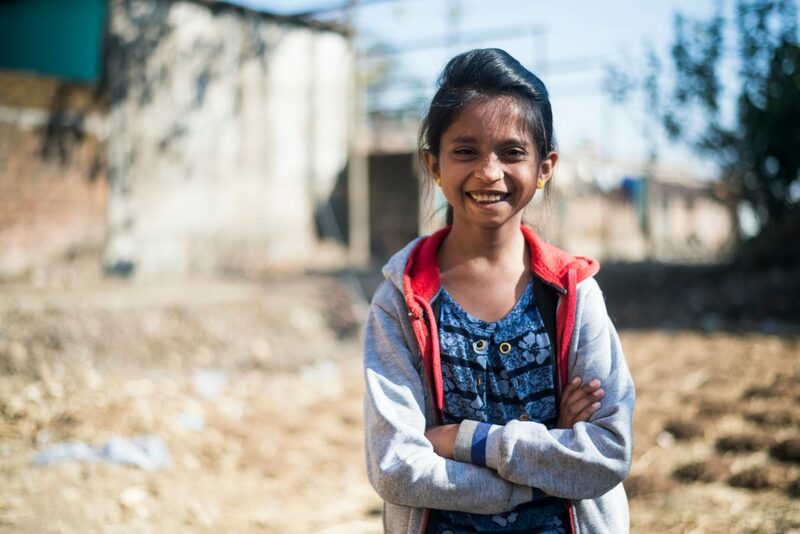 Eldest daughter of a farmer and chilli seller, Aswhini wants to be a role model for her siblings so that they too can dream big and work towards achieving their goals. As for her, she aspires to be a doctor and help her community. “People in this village are poor and often when sick, cannot afford to go to a good doctor. I intend to change that and serve my community,” she says. “There are very few pucca houses here, most of us live in kachcha houses. So during the rainy season, our village becomes susceptible to malaria and other diseases,” claims Ashwini. At present, there is only one doctor in the village. While he’s a good doctor, one doctor for the entire village is not enough. Besides, not everyone can afford to travel to Betul or another bigger town for consultations and treatments. This realisation led her to take up biology in Class XI last year and start preparing for a future in medicine. “I want to be a doctor,” she says with confidence and conviction, adding that she also wants to meet other women doctors. Ashwini is short and looks much younger. Her voice, too, is misleading; it seems like the voice of a 13-year-old. So when she speaks with clarity of thoughts and conviction in her voice, the other is pleasantly surprised. A forward thinking young adult, Ashwini also understands the value of digital literacy and digital adoption in today’s time. “Wherever you go, all the work is being carried out through computers or laptops. Laptops are replacing pen and paper; and machines are supporting people’s work. And so, it’s very important to know how to use a computer. It is the need of the hour,” she says. Interestingly, until a few months ago, Ashwini wanted to be a nurse. It was through her mentorship calls under project GOAL of Digital Empowerment Foundation that she got a chance to speak to Masarat Daur, a successful woman in a leading role at a corporate based out of the UK. Ashwini’s conversations with her helped her widen her aspirations and dream bigger; allowing her to imagine herself as a doctor rather than a nurse. “I want to be like my mentor. Confident, independent and not reliant on anyone for help,” she says. personally mentor young tribal girls in India. The urban women leaders, who will hold expertise in their respective domains—from business, education and health to politics, arts and entrepreneurship—will inspire, guide and encourage rural and tribal girls to become digitally enabled agents of change for their communities. While Digital Empowerment Foundation handholds the young girls in their journey of digital literacy, the urban mentors help them build life skills and leadership qualities.